With shared spaces and facilities, Mother Road Market features a wide range of tastes from small-business startups. 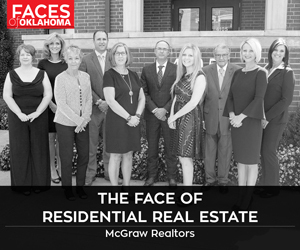 Oklahoma has more miles of the original Route 66 than any other state, and Tulsa’s Mother Road Market reminds people of the highway’s historical impact. The brainchild of the Lobeck Taylor Family Foundation, Tulsa’s first food hall on the iconic road combines innovation and learning space for food entrepreneurs, or “foodpreneurs,” as president and CEO Elizabeth Frame Ellison calls them – with local culinary delights and a relaxing atmosphere. Mother Road Market, named for John Steinbeck’s appellation of Route 66 in The Grapes of Wrath, is home to Kitchen 66, a nonprofit startup offering affordable commercial kitchen space, educational programs on the food business and retail pop-up opportunities. 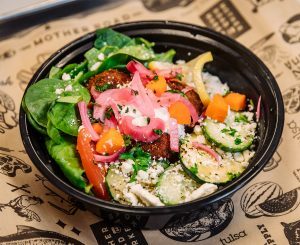 Falafelopolis at Bodhi’s Bowl includes chickpea falafel with roasted vegetables, feta and sweet pickled red onion. Local food ventures are lured by the progressive business model, generous space in the historic Scrivner-Stevens Grocery Co. building, a 7,000-square-foot patio and a miniature-golf course. More than 20 merchants call the market home, offering everything from fresh flowers, Korean fusion and lobster rolls to craft cocktails and Mexican street food. For instance, The Bakeshop, using ingredients locally sourced whenever possible, sells small-batch, “healthy-ish” breads, pastries, fresh croissants, a number of sweets, soups and salads, co-owner Emily Landry says. Popular items include sourdough bread (with emphasis on the sour), the Spent Grain and Cardamom Chocolate Chunk Cookie (with spent grain from local brewery Heirloom Rustic Ales) and the Baker’s Chef Salad (with lemon-and-olive-oil-dressed kale, hard-boiled eggs, toasted almonds, house-candied bacon and other homemade toppings). The Bakeshop regularly offers specialties, such as a vegan lemon apricot scone and gluten-free Katie Bread. 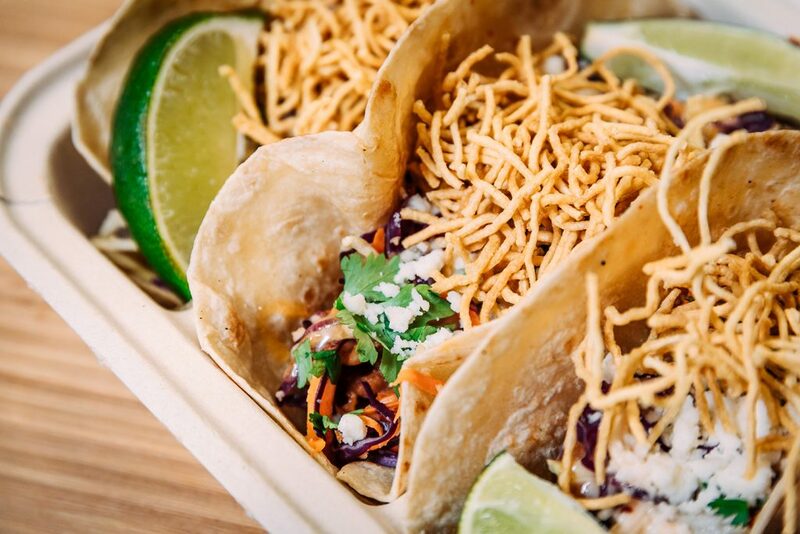 Enjoy classic Mexican street food at Mother Road Market. Diners also flock to Chicken and the Wolf, specializing in increasingly popular Nashville hot chicken. Each serving can be ordered with no heat or mild, medium, hot or extra-hot spices. “Hot chicken is not for the faint of heart,” co-owner Philip Phillips says. You can find small batch, locally made ice cream at Big Dipper Creamery. 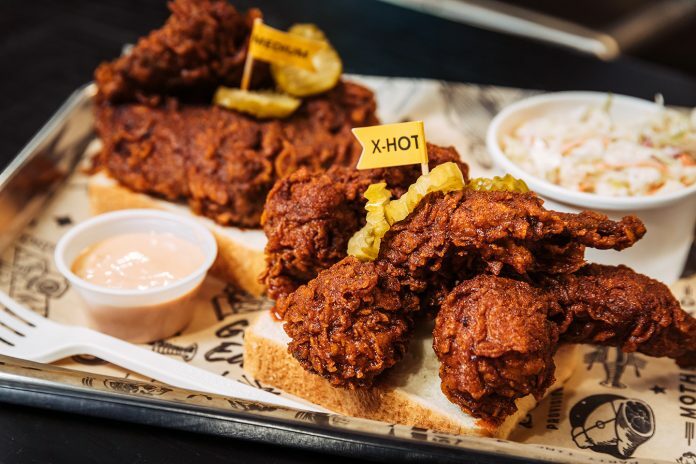 One hot-selling dish is a Nashville-style sandwich – fried chicken on a brioche bun with house-made pickles, coleslaw and “comeback sauce” served at a heat level of the diner’s discretion. Jumbo tenders – three large fried tenders a la Nashville served on white bread – are also a customer favorite. Chicken and the Wolf also makes its own red-skin potato salad and French fries. Mother Road Market has an impressive mission.